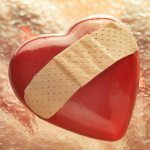 Giving our kids a solid foundation for emotional health is so important. When we are raising our kids, we want to give them the best foundation as far as their physical health so we make sure that they get enough water and food and exercise and we teach them to tell us when they aren’t feeling well. We even teach them to identify what part of their body is hurting them and we use tools like thermometers to check them for fevers. Emotional health is no different. 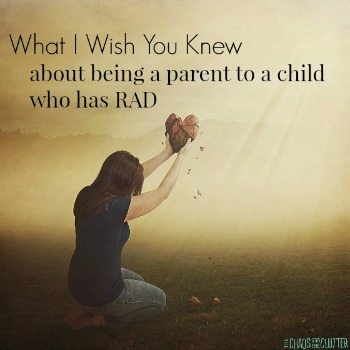 Kids don’t come into the world knowing how to care for their emotional health any more than they come into the world knowing how to care for their physical health. It is up to us to teach them. Part of that comes with giving them the vocabulary. 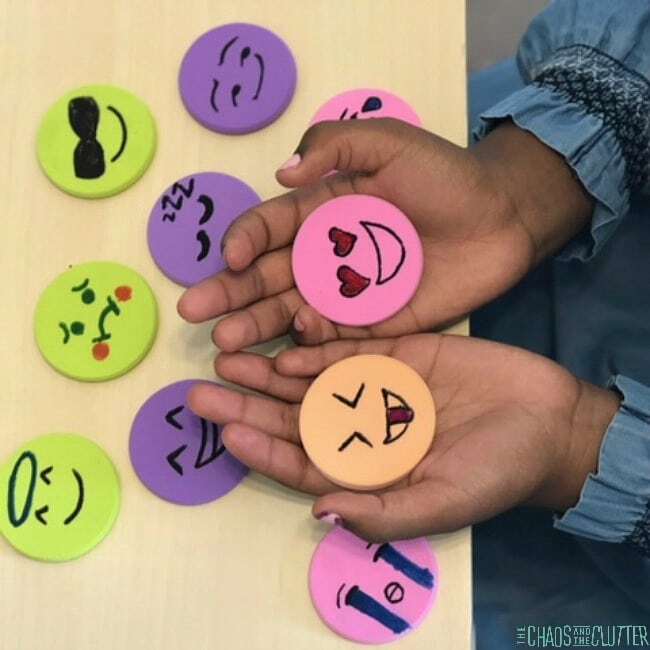 Emotion words can be very challenging for kids to learn, especially those who are on the autism spectrum, have early childhood trauma, or have attachment disorders. It can take a fair bit of repetition and explanation for emotion words to become natural for children and it can take even longer for them to begin to identify their own emotions. 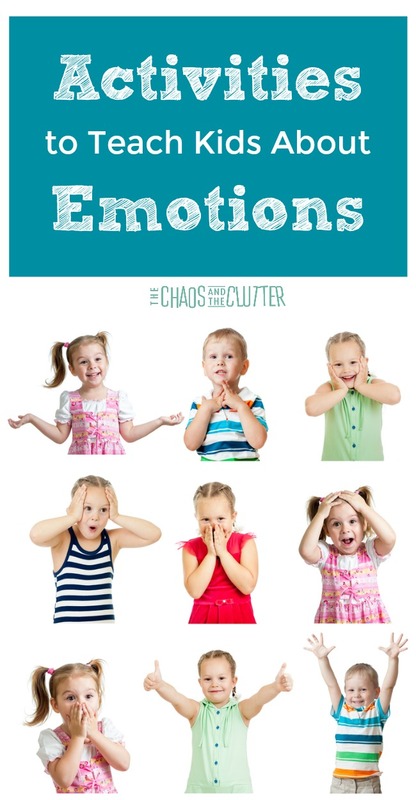 In our house, I try to make learning about emotions fun. It’s also good to make it part of your regular routine. It’s made a big difference for our kids. 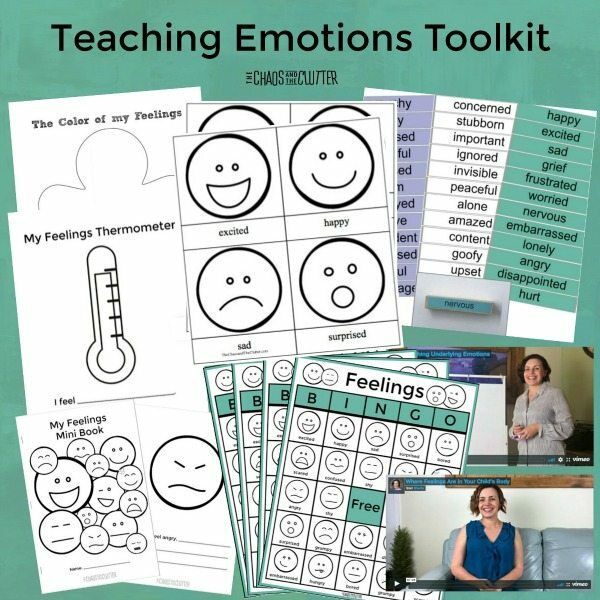 After seeing what a change there was in our household after our kids were able to easily identify their emotions and better manage their responses, I decided to create the Teaching Emotions Toolkit to help other parents teach their children about emotions and give them the coping skills to handle their big feelings. 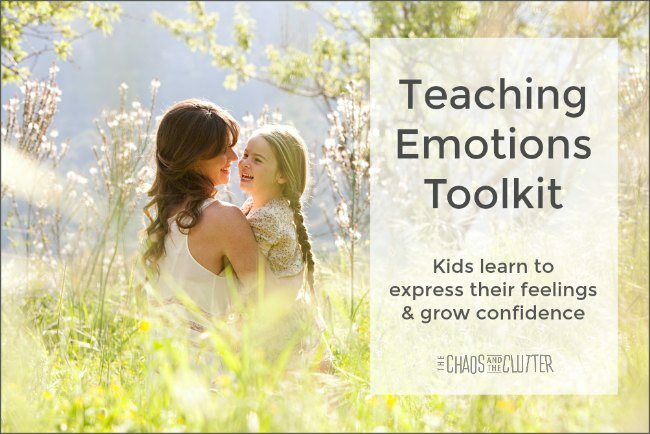 Teaching children how to identify and handle their emotions starts at a young age. 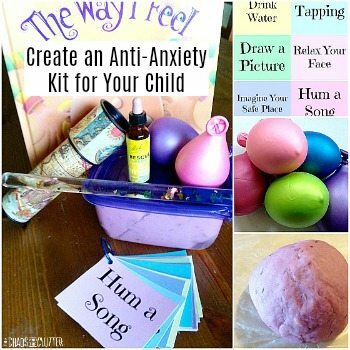 All of these activities are fun ways to help our children grow into emotionally healthy adults. 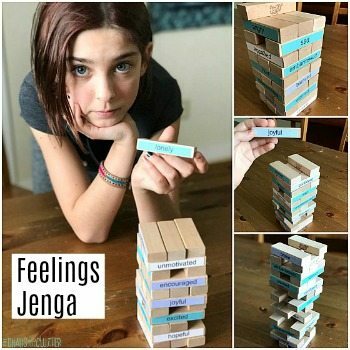 Thank you for including our emotions sensory bin – I love how so many of these ideas work for a variety of ages. 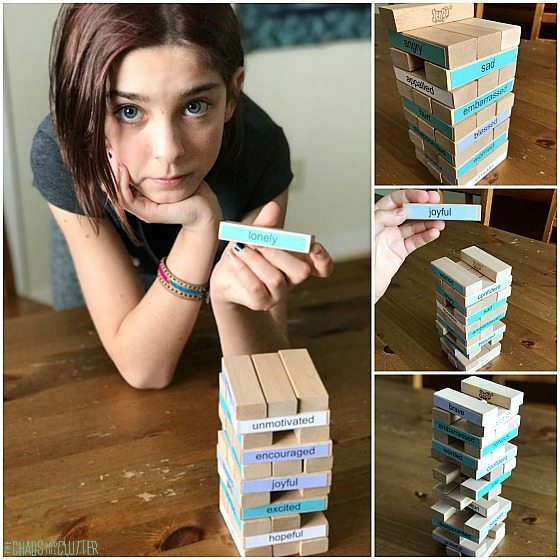 I am loving the Jenga idea!